No matter what your New Year’s Resolution may be, making real change requires strategic planning. PT Ashley Heller explains how setting S.M.A.R.T. goals will help you stick to your resolutions and keep you motivated every step of the way. While January is always a popular time to set goals for New Year’s Resolutions, it’s all too common for people to abandon those resolutions after the first few weeks or months. Whether your resolution is to get healthy, stop an undesirable behavior, or add something new altogether, making real change requires strategic planning. As a physical therapist, I know achieving goals requires intentional planning; that’s why my treatment plans are comprised of small dynamic goals to push my patients beyond their current ability level. These goals constantly change and evolve as obstacles arise, setbacks occur, and the patient progresses, but I know that I need to break down the steps so the patient has a clear understanding of what they are striving for and how they will get there. Ultimately, devising and communicating a clear plan helps minimize setbacks and gets my patients better, faster. Many people struggle when attempting to achieve lofty, long-term goals because they don’t know how to break down big goals into smaller steps. By making S.M.A.R.T. goals, people are more likely to continue toward their goal and not give up. Broad goals (I want to lose weight) need to be simplified into smaller, more achievable goals (I’ll go to the gym once per week.) It helps to break down a complex desire into simplified mini-goals so you can “chip away” at the bigger goal. You don’t need to make big life changes all at once. No matter what your goal is, try to find something that you can measure your progress towards your goal. Being able to quantify progress is motivating and can be essential in reaching and achieving the goal. Achieving pieces of the goal is motivating to stay the course. Unachievable goals are easily abandoned. If you don’t meet your deadline for your mini-goal, that’s okay! Take a moment to analyze whether your goal was realistic. Was the goal too ambitious, did something come up, did you experience a setback? Understanding why a goal wasn’t met and identifying outlying factors that made it difficult to achieve the goal will help you restructure your plan and stay motivated. Keep your goals realistic and your eye on the prize! Goals that are too unrealistic are easily forgotten or may be overwhelming and deserted. Take a step back and identify why this resolution is important to you. Taking the time to identify how making this change will have a meaningful impact on your life will be a huge factor in eliminating excuses along the way. Change often makes people uncomfortable and most would rather avoid it all together. I would argue that growth cannot happen without change. Challenge yourself to embrace change, to be uncomfortable, to celebrate your achievements big and small. Tools like setting “S.M.A.R.T. goals” and support systems like your physical therapist will help you cross the finish line in no time. 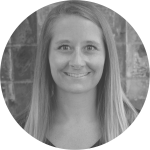 Ashley Heller, MPT is a licensed physical therapist at Rausch Physical Therapy & Sports Performance. She received her Masters of Physical Therapy degree at California State University, Long Beach and is passionate about working with patients with shoulder, knee and ankle injuries. 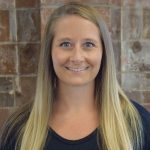 With background in orthopedic-related injuries and post-operative rehabilitation, Ashley believes that the combination of manual therapy and personalized therapeutic exercise program is vital to recovery. Known as the Water Sports PT, Ashley says her goal is to help her patients better understand their injuries and the plan for their road to recovery.